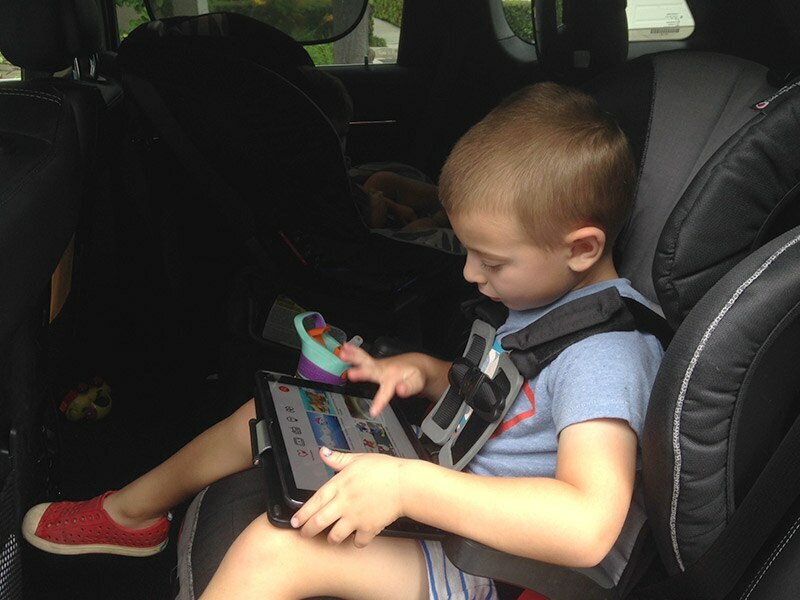 Driving with the littles can be pretty daunting and not always the most enjoyable experience. It’s tough keeping the little ones strapped in and happy without their whining leading you to the edge of insanity. 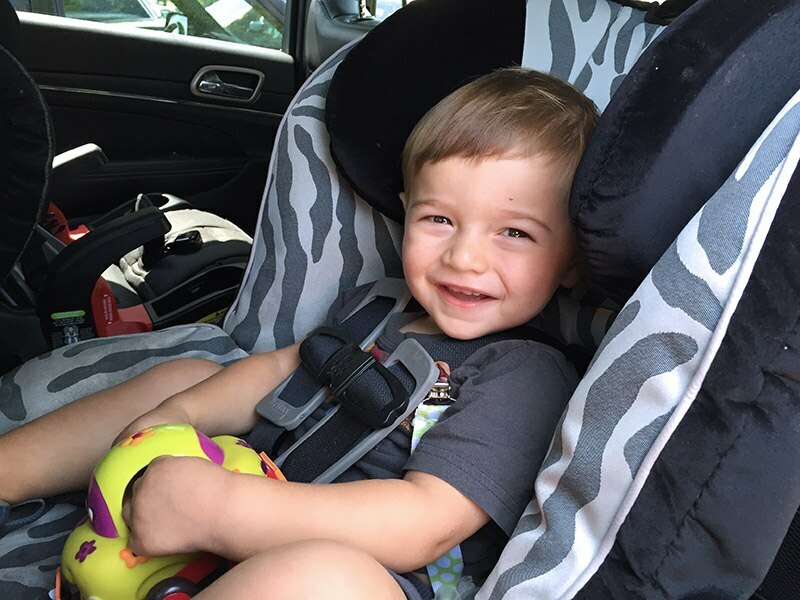 Over the last 4.5 years as a mom, though, I have discovered some useful mommy hacks for keeping the kids happy and peaceful in the car. Now, depending on age, these might not always work, but as a mom I’m an improv actor every day of my life, so you just have to keep trying and see what works best for your kids! First and foremost, you want to make sure your little one is comfy. 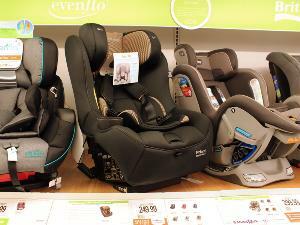 Finding the right car seat can really improve the quality of your time in the car. Kids get hot and sweaty, and fast! 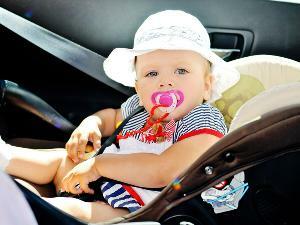 Make sure they are dressed appropriately for the weather and the AC in the car is at the right temperature. 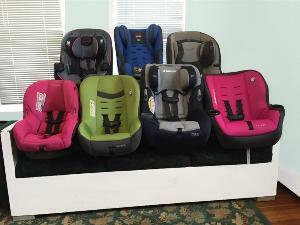 Remember that if they are rear-facing, you’ll probably need to turn the air up a little higher than you normally would so that it gets circulated to them all the way in the back. My kids complain if their clothes aren’t lying nicely and untucked from within the straps, so pulling out any bunched clothes and getting the straps the right tightness is key. Straps should be tight enough for safety, but not so tight that they are uncomfortable. 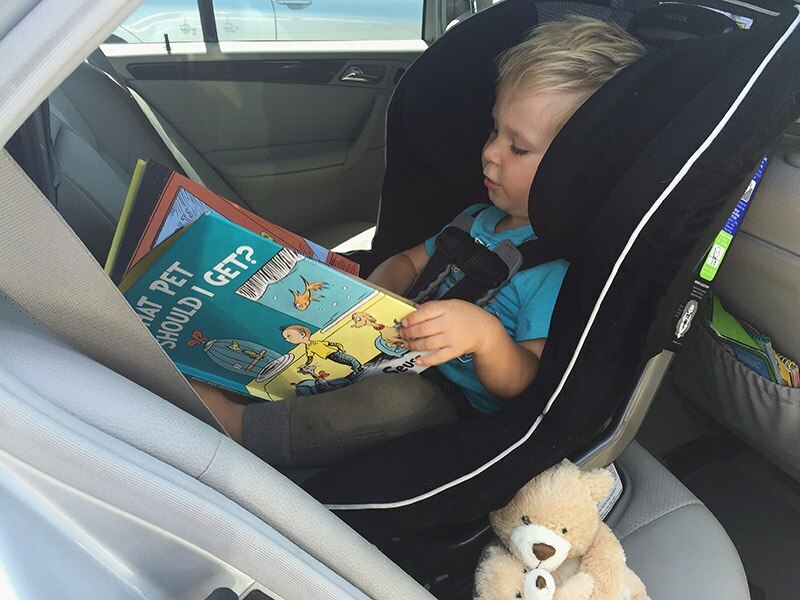 Smaller board books, or ones that incorporate finger puppets, lift-the-flap or musical elements are all great additions to the car. Keep a few of them in there at all times so you can easily reach for them when needed. Some of my kids’ faves are Where is Baby’s Belly Button and Five Little Monkeys. 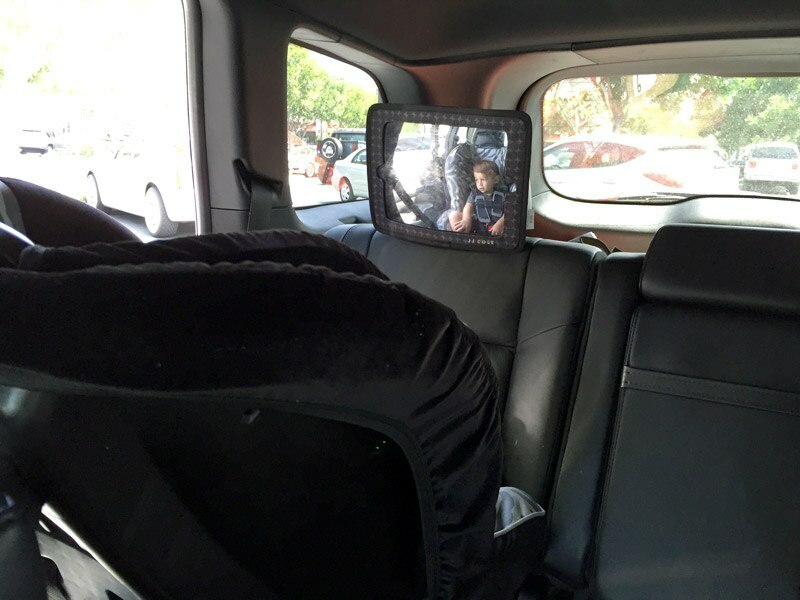 If your child is rear-facing, install a mirror in front of their car seat so you can sneak in a few smiles and giggles while safely stopped so they can see you are still there. Make sure that it’s installed correctly, because in an accident, anything that isn’t secure can become a projectile that may cause severe injury to your child. While I know it is a controversial topic and might not be something all moms are comfortable with, safe snacks are a must in the car with my kids. 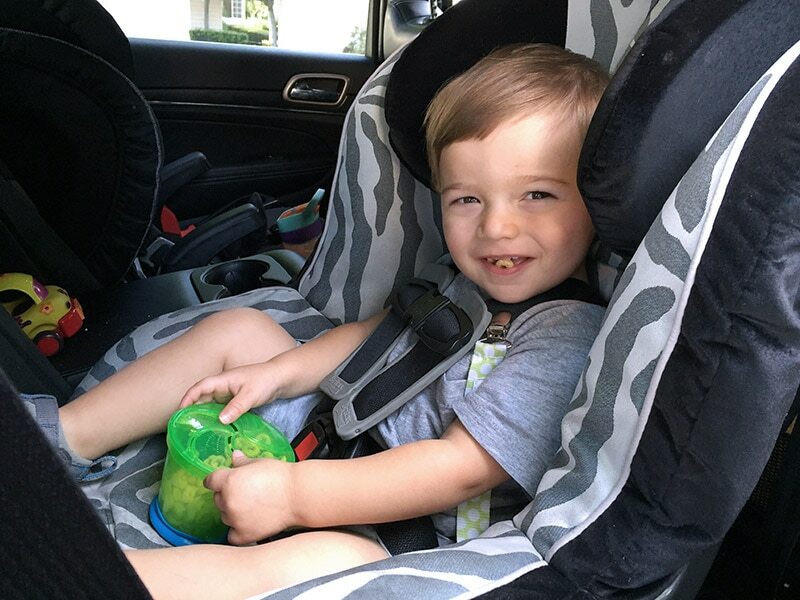 “No eating in the car” was definitely one of the thousands of things I vowed my kids would NEVER do before I became a mom, but that went out the window once I experienced what it’s like to drive with them. Things like puffs and rice cakes that easily dissolve are my go-to snacks for the car. They do make for some crumbs, but pick your poison. Screaming child vs. crumbs. I choose crumbs. Good music = happy kids. Try lots of different music and find what your child likes. Some kids like children’s music while others squeal at the sound of Gwen Stefani belting out B-A-N-A-N-A-S. My kids happen to love the Beatles, which makes for some pretty enjoyable car rides for my hubby and me. Watch the video above of Katy Perry working her magic on a crying baby. 6. Get your singing voices ready! If music from the radio doesn't work to calm your child, bust out your best "Wheels on the Bus" and "If You're Happy and You Know It." Even if you think it would get you booed off the stage at an American Idol audition, kids (especially infants) love the sound of their mom’s voice. 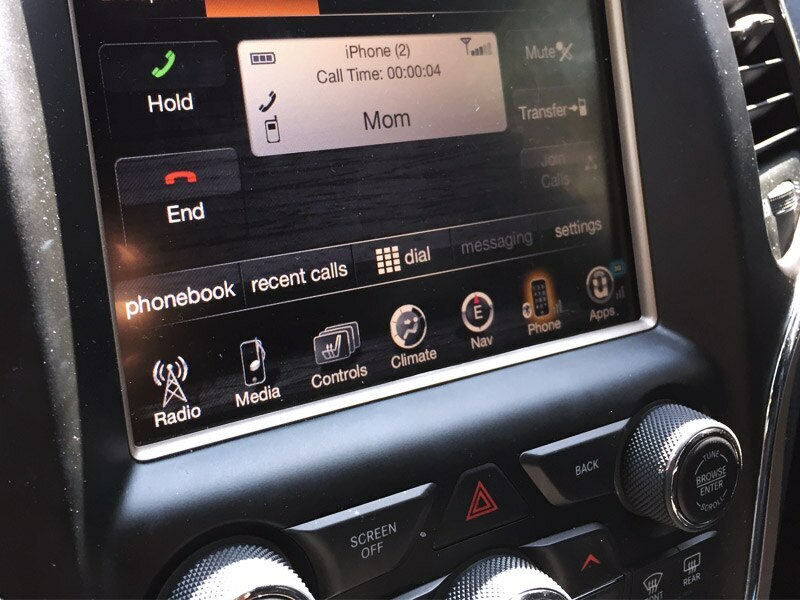 Call grandma (or a friend or family member) on Bluetooth and have them talk to your child. Whenever I have run out of ideas and things to talk about with my kids, I get grandma on the phone for some entertainment. She loves it, and the kids do too. 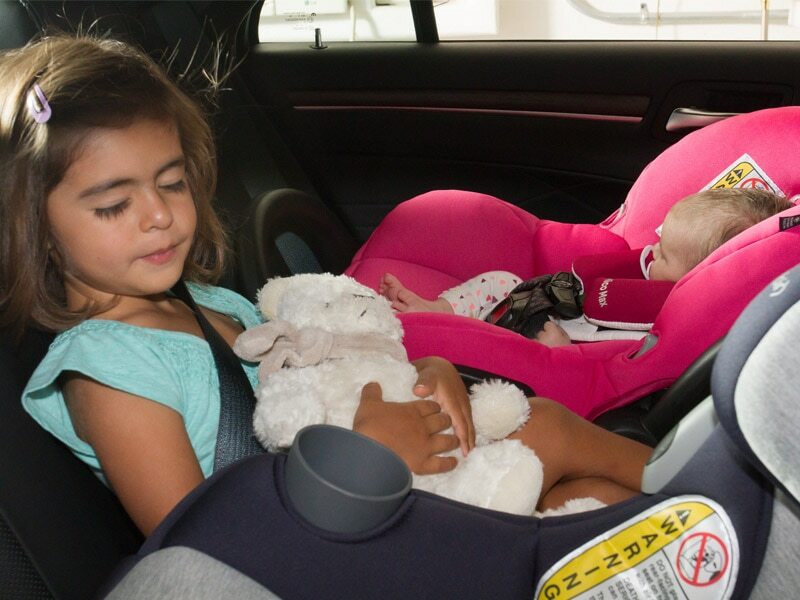 If you're traveling with another passenger, consider having them sit in the back so they can sing to, talk to, or safely feed a bottle or a sip of water to your baby. 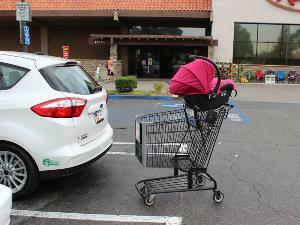 Babies get lonely back there without any company, so use your available resources when driving with friends. Dare I say it? iPad! Gasp! Just for short distances and as a last resort. I’m not a huge proponent of screen time, but I equally have an aversion to scream time. So when all else fails, you might see an iPad in the laps of my littles. 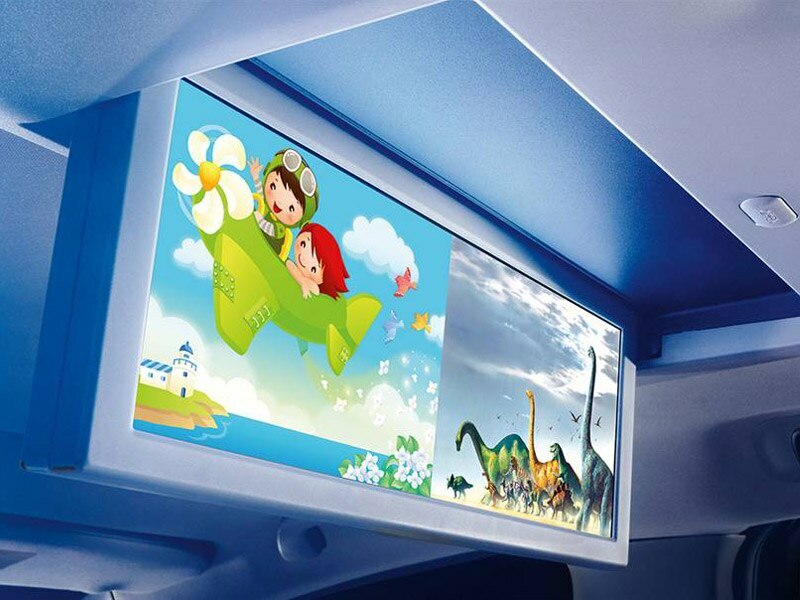 If you're fancy and have TV screens in your car, a movie or cartoon can always help during a drive. Just like finding your kid’s favorite music, try different types of movies or cartoons until you find the one your kid responds to best. Travel when your child is happiest. Test different scenarios. 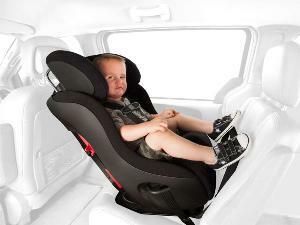 Is your child best in the car after a good nap at home and with a belly full of milk/food? Or would they prefer to get strapped in while drowsy and take a snooze on your drive? My first was happy as a clam any time we set foot in the car, but my second was a nightmare unless absolutely perfectly fed and just the right amount of drowsy.